The Frenchman, who also won on the second day, finished first the time trial at Pocito. He beat Conte and his partner Evenepoel, who shone again. 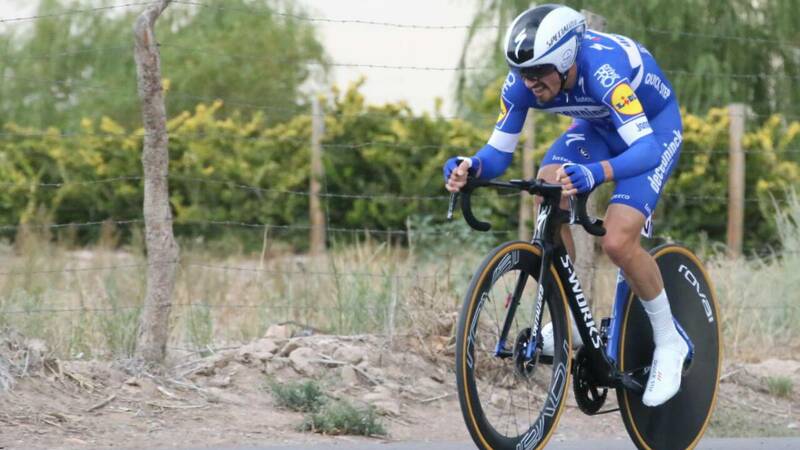 Julian Alaphilippe repeated victory in the Vuelta a San Juan. The Frenchman, who had imposed himself in the second stage, was the best in the time trial of Pocito, only 12 kilometers. The French showed better pace than none and ratified it in the finish line, where he stayed 12 seconds ahead of Valerio Conti and Remco Evenepoel, who continues to make great performances in his professional debut and led the stage for a few minutes. With this victory , Alaphilippe takes the lead that he could not reach in the previous day because of the bonuses. The cyclist of the Deceuninck-Quick Step brings in 18 second to Gaviria and 22 "to Conti before the fourth stage that joins San José Jachal and the Fertile Valley It will be 182 kilometers with three mountain passes (one of the third category and two of the first ) in the central part of the day.